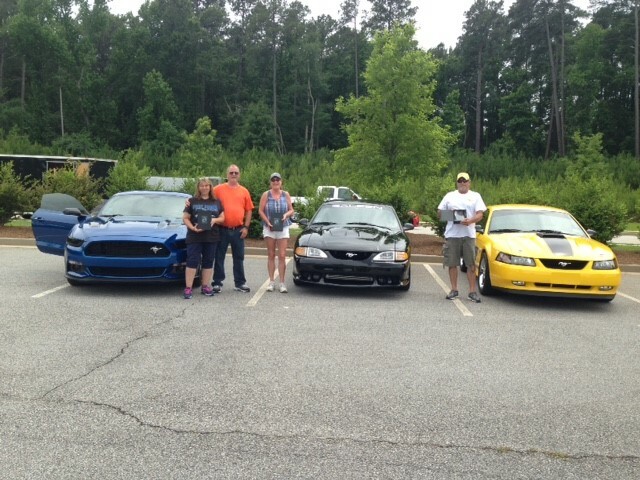 The NE Georgia Mustang Club had 3 cars brave the weather to attend the MCA National Car Show in Grovetown, GA, this past weekend. There was rain, heavy at times, on the drive down to the show and at the show on Friday. However the weather was great on both Saturday and Sunday. All three cars took gold awards in their respective classes, Ken Shoufler and Rick and Cher Hayslip in Occasionally Driven plus Suzanne and Frankie Newsom winning in President’s Choice. This was Suzanne and Frankie’s first National show, so congratulations guys. 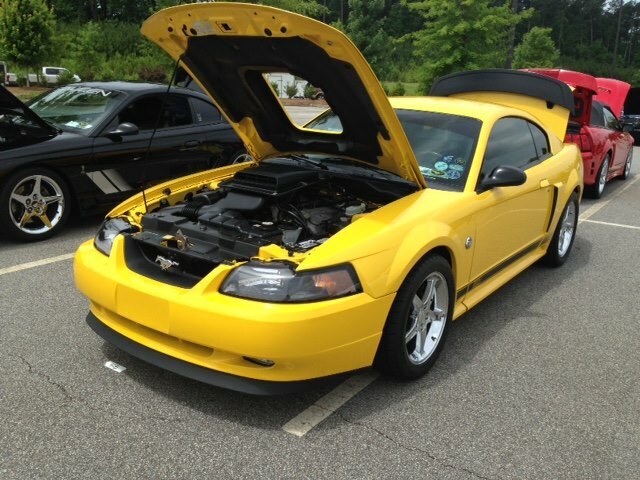 This was also a big and well deserved win for Ken as he earned his nineteenth and twentieth points on his 2004 Mach1. Because of reaching twenty points he has earned his grill medallion which will be awarded at his next National show. 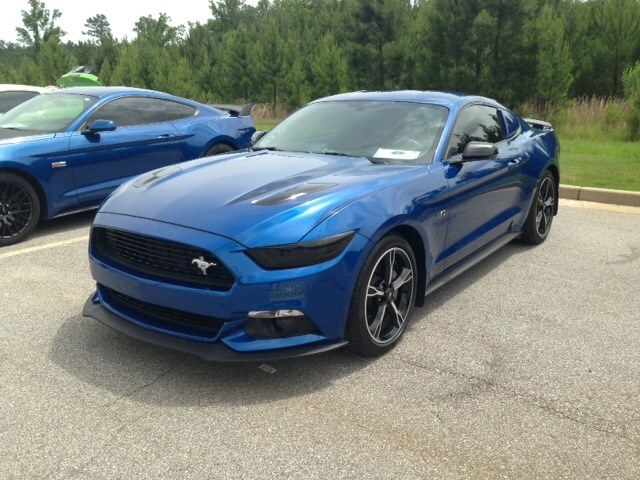 Congratulations Ken, this is the first grill medallion earned by a NE Georgia Mustang Club member in a number of years!